Fonds is arranged in files. Rocksborough Remington Smith (1872-1955) was born 30 November 1872 in Brighton, England. He was educated at King's College, Nova Scotia (D.D. 1925), Cambridge University (M.A. 1902) and the University of London (B. A.). Smith received his theological training at Salisbury Theological College (B.A. 1899); he took numerous school prizes for his theological scholarship. 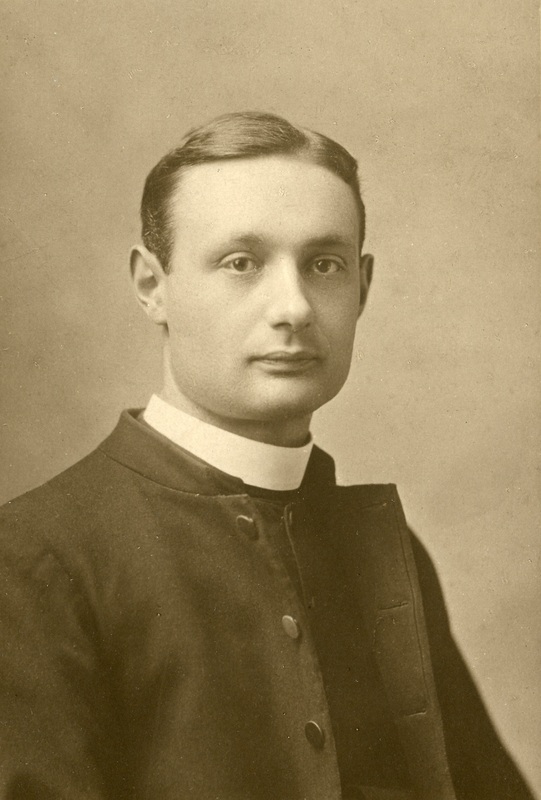 Smith was ordained Deacon in 1899 and Priest in 1900. He first worked as the Vice-Principal at Salisbury Theological College (1901); then as Principal, Clergy House, in Wimbledon (1903). From 1909 to 1914 Smith served as Principal of the Diocesan High School for Europeans in Rangoon, Burma, before returning to England as the Vicar of Broadstone, Dorset. In 1921 Smith was appointed Harrold Professor, Dean of Divinity, and Vice-Principal, University of Lennoxville (Bishop's) in Quebec, Canada. He then served as Examining Chaplain to the Bishop of Quebec from 1924 to 1926. In 1926, Smith was consecrated Co-adjutor Bishop of Algoma; and in 1927 he was made Diocesan Bishop of Algoma. In 1939 Smith was visiting England when the Second World War began; he chose to retire in England in that year and was succeeded by Bishop George Frederick Kingston. In England, from 1939-1942, he served as General Secretary of the Church Union and as Rector of Lapford, Devon. Smith fully retired in 1942 and lived his remaining years at Hove, Sussex. He passed on April 5, 1955. Smith authored "The Epistle of St. Paul's First Trial" (1899) and "Christianity in the Home" (1933). Second photograph: The Algoma Anglican 12, no. 7 (1968): 4. Algoma University Archives, 2013-086_001_004_018. Fonds is comprised of records of the Right Reverend Rocksborough R. Smith, fourth Bishop of Algoma. Includes diaries and calendars, clergy lists, correspondence, newspaper clippings, orders of service, books written by Bishop Smith as well as books gifted to him, and some correspondence concerning Smith. The records in Accessions 2009-056 and 2009-069 were transferred to Algoma University from Laurentian University in May 2009. May be restrictions on access based on the terms of the Deposit Agreement and the Diocese's Policy on Privacy and Archives. Subject to all applicable privacy legislation. May be restrictions on use based on the terms of the Deposit Agreement and the Diocese's Policy on Privacy and Archives. Subject to all applicable privacy legislation. The Seven Sayings from the Cross, William Bright, D. D.
Read more about The Seven Sayings from the Cross, William Bright, D. D.